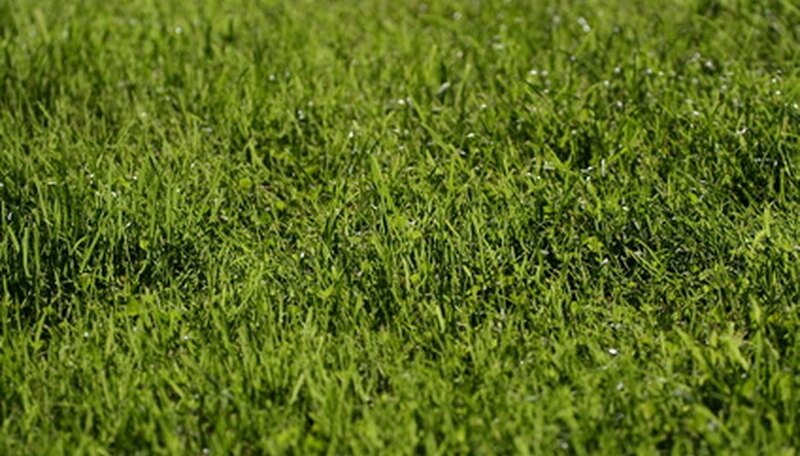 The hunt for methods and resources to kill weeds in lawns is ongoing for many people who maintain lawns. Since the rise of environmental awareness many people have begun seeking out safe methods to kill lawn weeds. Various natural and organic methods exist to kill weeds without affecting the safety of the lawn or the people maintaining it. Most organic weed killers work on a cellular level to kill weeds. Three types of natural weed killers are available: acetic acids, fatty acids and water-based solutions. Acetic acids change the chemistry of the root and cell structure. Fatty acids dissolve plant membranes and cause plant dehydration. Water-based applications increase temperature and burn weeds. Weed killers alter cell structures in targeted plants. You can use natural weed killers as a safe method for both spot weed removal and individual plant removal. These types of weed killers can affect both foliage and root systems with similar effectiveness. Large amounts of organic weed killer can produce quick results, usually within hours. Examples include salt, alcohol, organic acid, bleach, vinegar and boiling water. However, the effective duration is shorter and may require multiple applications. The end result will be similar, but the possibility of contamination to the soil will be reduced. Consideration should be given to the fact that natural weed killers will kill plants once they come into contact with them. Unlike chemical treatments, natural weed killers are not selective. Watch for dead spots in lawns. Overuse of treatments such as salt can cause soil damage should it be used in areas of poor drainage. Use of natural weed killers during higher temperatures can increase the effectiveness and speed of the treatment. Vinegar with a 15 to 20 percent acetic acid solution works with greater effectiveness in high temperatures. Most organic weed killers can work within 24 hours of application.